Below are answers to some of the frequently asked questions surrounding paediatric physiotherapy. Please feel free to contact the clinic if you have any questions or want to to discuss if and how Paediatric Physiotherapy could help your child. We offer free, friendly and professional advice and are only a phone call away. Paediatric Physiotherapy is the treatment and care of babies, children and young people from birth to 14 years. Paediatric Physiotherapists promote the health and wellbeing of children and have additional knowledge and experience of child development and of childhood disabilities. What is the benefit of seeing a specialist paediatric physiotherapist? Does my child need a paediatric physiotherapist? It is important to remember that babies and children have very different needs to adults. They also suffer from different conditions and syndromes. By choosing a specialist physiotherapist, you can be confident in the knowledge that your child’s therapist will have extensive experience in dealing with these differences and in working together with families. They are best placed to assess the child using appropriate techniques, such as using play to observe their movements, and parents/carers will always be involved throughout any assessment and treatment. Can my child give consent for their own treatment? Only the parent/legal guardian of the child can provide consent and the Physiotherapist must be advised in advance if someone else e.g. a grandparent, will be bringing the child to an appointment. Any child over the age of 14 who is deemed competent by the Physiotherapist can provide and withdraw consent to treatment. Any child who is under 16 must be accompanied to all appointments. Do I need to attend the appointment with my child? Any child who is under 16 must be accompanied to all appointments. Can I bring my other children to the appointment? We recommend that other children are not brought to the appointment as they can often become bored however we understand that this is not always possible so will always be welcome. Young children cannot be left on their own in the waiting room and must be brought into the treatment room for their own safety. The physiotherapist cannot be responsible for any child, other than the child being treated, at any time. 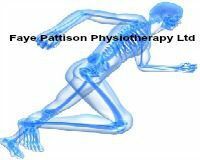 Please feel free to bring any favourite toys etc to Physiotherapy sessions. We have a selection of toys here but anything they particularly like can be very useful to motivate children to partake in the assessment and treatment sessions. It can also make them feel more secure in a new environment. The assessment and treatment of children is very different to adults. It can sometimes take longer to thoroughly assess a complex issue; however some conditions such as intoeing can be assessed very quickly. For this reason, the length of initial appointments for children can vary from 30-60mins depending of the nature of the problem. A free telephone consultation with the Paediatric Physiotherapist is available to all parents/carers to discuss the child’s individual need and an agreement will be made about the length of time needed. The initial appointment will include a discussion between the Physiotherapist, parents and the child of their current difficulties, any past medical problems and depending on the nature of the problem, their early development and birth. A physical assessment will then be completed of the child which may include range of movement, their muscle strength and their functional abilities. Depending on the age of the child, the assessment will be tailored to make it as fun and enjoyable for the child as possible. Your child can wear whatever they are comfortable in for the discussion part of the session, however we do request that they bring shorts and/or a vest to wear so that we are able to see the area of the body we are assessing for the physical assessment. For babies, it can be helpful to assess in their nappies. You will always be present during any periods of time when your child may be partially undressed and we will endeavour to make you and your child as comfortable as possible at all times. As discussed in some of the above FAQ’s, some paediatric conditions need longer to assess than others so please feel free to call, we can advise how long the initial appointment will be prior to the appointment and see our price list for further details. The average course of treatment is really dependent and unique to the individual however we can give you an estimate once we have a full understanding of your child’s needs. Will the treatment my child receives hurt? We will always aim to make your child’s experience as comfortable as possible, however, under certain circumstances, more intense movements, pressure and treatment techniques may be required. You will be forewarned and at any time can opt to cease treatment if it is too uncomfortable for your child. If you have any queries regarding treatment techniques, please give us a call. What happens if paediatric physiotherapy can’t help my child?